The risks of settling your claim without representation from an auto accident attorney include giving up all of your legal rights – and leaving settlement money on the table. Here’s the most common scenario following a car crash: Within a few days of the wreck, you receive a letter, a call, or even a home visit from the car insurance company of the at-fault driver. The insurance company adjuster says they would like to settle and that there’s no need for you to hire your own lawyer. After some information is exchanged, they make a settlement offer that ranges from a few hundred to a few thousand bucks. Next, you’re asked by the insurance adjuster to sign on the dotted line on an important legal document called a release. Most people assume they’ll be treated fairly and that the insurance company has their interests in mind. That’s where most people are sadly mistaken. 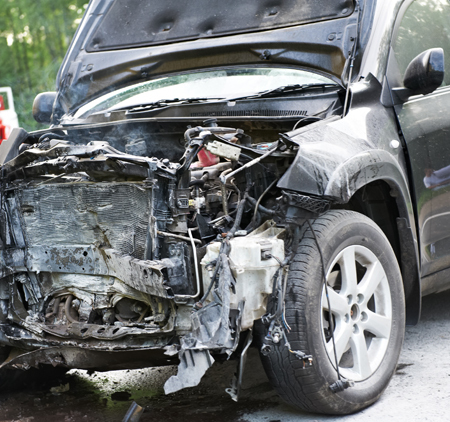 Here’s the lowdown: Auto accident victims must be extremely cautious of insurance companies. If you truly have no injuries, no residual pain or issues, and the other insurance company wants to throw a small lump of cash your way, then you likely don’t need to hire a personal injury attorney to represent you. However, I most often see the other side of things, such as insurance adjusters aggressively tracking people down and offering them money so they won’t even think to hire a personal injury lawyer. For example, when I was President of the American Association for Justice Truck Accident Litigation Group, there was a case where an adjuster for a trucking company that negligently killed a wonderful man (who was a young husband and father) attempted to “settle” the case by buying the surviving family members a new Buick. These cases should serve as a warning. The insurance industry itself estimates that when an attorney becomes involved, the settlement value of any auto accident claim increases by four times as much. That’s why so many insurance companies essentially stalk crash victims – to prevent them from hiring their own experienced lawyers. And because information they’re providing is one-sided, most people have no idea what their legal rights are or what kind of compensation they’re entitled to. In addition, many people are still in shock from the car accident, or have yet to fully understand and feel how serious their injuries will become. So to sum it up, there may be times when you don’t need an attorney. But remember, you could be giving up quite a bit and taking a big risk by signing any legal release. A release will extinguish any and all legal rights you have – whether that be for pain and suffering or lost wages, medical expense reimbursement and other claims. If you’re approached by an adjuster and told you don’t need to hire a lawyer, make sure you truly have nothing to lose before settling your case. Remember, no insurance company will ever try to give away its own money – unless doing so is in the insurance company’s own best interest.